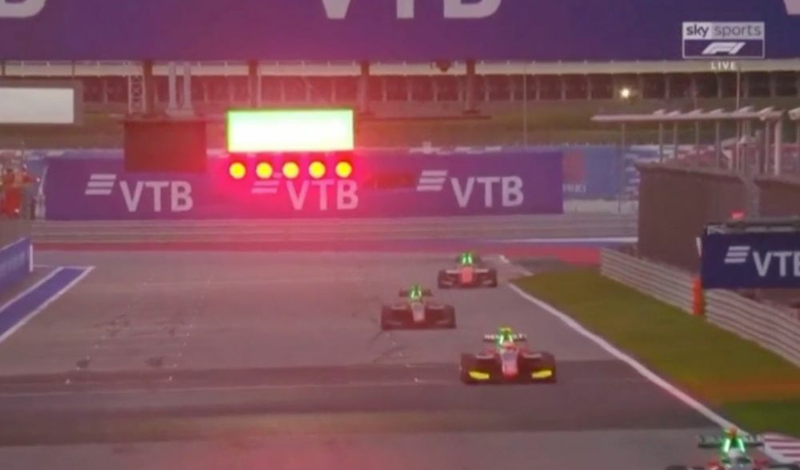 There’s something about GP3 sessions at Sochi running at nighttime. Back in 2015 (the last time the series raced in Russia) a wet practice session was unbelievably allowed to finish in the dark on a track with no floodlights. Three years later GP3 is back in Sochi, and guess what - it happened again! The sun was due to set at 18:08 local time, yet GP3’s qualifying session didn’t finish until 18:20 - If that’s a scheduling error, it’s a pretty massive one! Nikita Mazepin mastered the fading light to grab his first pole position, and at his home track to boot. It’s good news for his title aspirations, too, as championship leader Antoine Hubert will have a bit of work to do from fifth on the grid. The other title contender, Callum Ilott, starts third. The same situation is unlikely to happen tomorrow as the first GP3 race takes place first thing in the morning. The Formula 2 feature race, however? That starts just over an hour before sunset, so any delays in the race or in F1 qualifying beforehand could see things getting pretty dark there, too.